Chicago performer Chance the Rapper has topped off his breakthrough year with a performance on the Arsenio Hall Show, where he powered through his song "Chain Smoker." Joined by a full backing band, who wore the same varsity-ready letterman jacket as Chance, the rapper powered through the single, jumping up and down and pouring a ton of energy into the performance, even if that meant occasionally missing the mic for some of his lines. 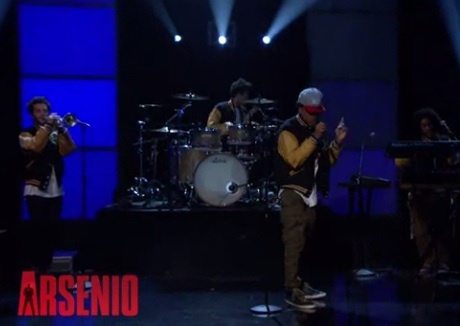 Check out the performance of "Chain Smoker" on Arsenio below, along with a brief portion of the interview.